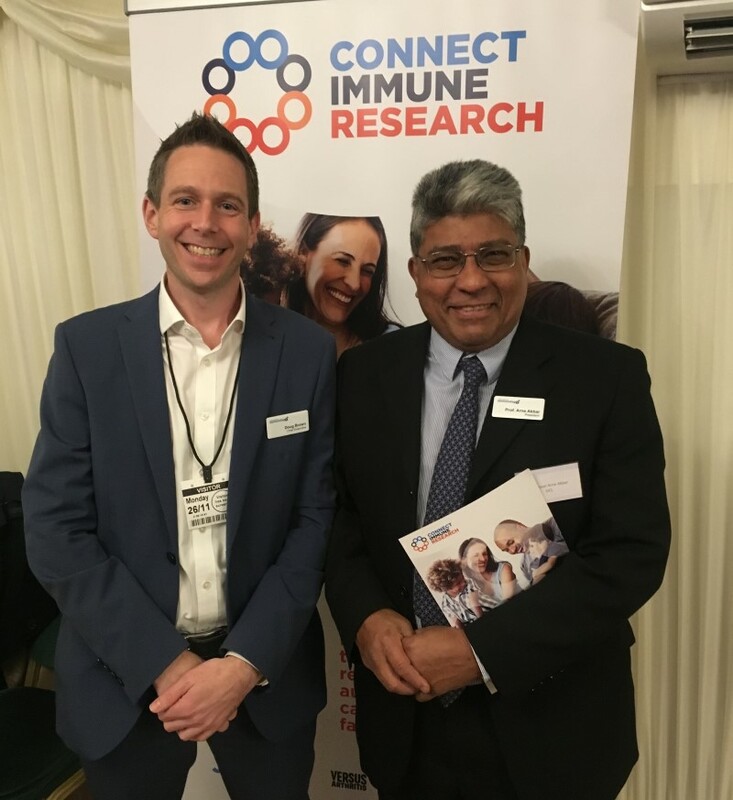 On Monday 26 November, the British Society for Immunology, in partnership with the type 1 diabetes charity JDRF, MS Society and Versus Arthritis, hosted a parliamentary event to raise awareness into autoimmune conditions and to ask MPs and other stakeholders to pledge their support using the hashtag #AutoimmuneAware. The charities have come together to establish 'Connect Immune Research' – a first-of-its-kind coalition to promote a multi-disciplinary approach to autoimmune research and grow funding and research infrastructure in order to develop new treatment and diagnosis options. Traditionally, autoimmune conditions have been researched and treated in disease-specific silos, but underlying common immunological mechanisms have indicated the benefit of a joined-up research approach. In the UK, approximately 4 million people have been diagnosed and are living with an autoimmune condition; the incidence is rising by up to 9% each year for some conditions. The direct and indirect cost to the UK of type 1 diabetes, multiple sclerosis and rheumatoid arthritis together is estimated to total around £13 billion per year and rising. Up to third of patients have multiple autoimmune diseases making management of their conditions and symptoms a daily effort. Understanding the commonalities between these conditions could bring a number of benefits, including an improvement to patient quality of life and an increased efficiency to the way these conditions are diagnosed and treated in our NHS. 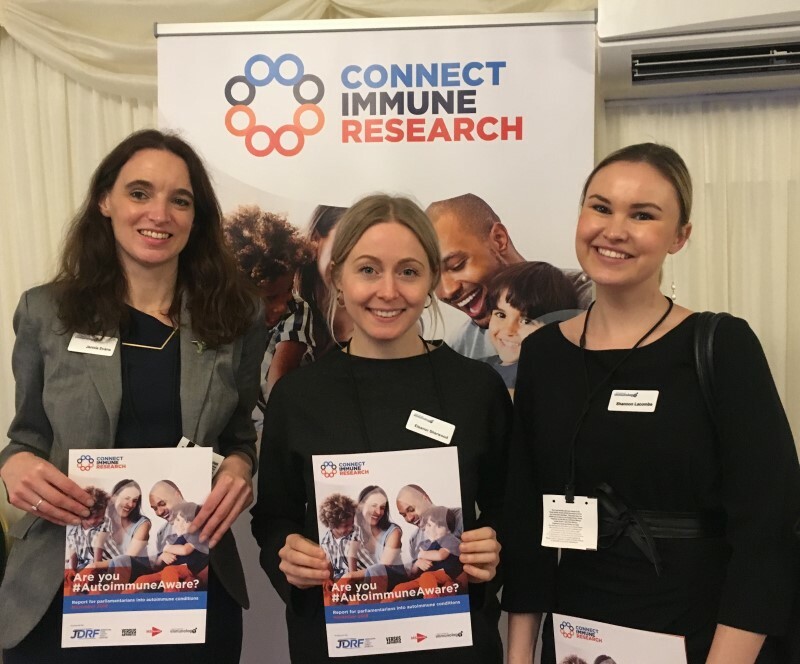 The parliamentary event on Monday 26 November was used a platform to launch our new joint report “Are you #AutoimmuneAware?” and to highlight the need for greater recognition and investment for autoimmune conditions as a distinct research area, alongside the likes of cancer, infectious disease and dementia. Hosted by former Health Minister Philip Dunne MP, the event aimed to put autoimmunity centre-stage and for us and our partners to engage with many MPs and sector leaders to explain the UK’s world-leading contribution to autoimmune research and why a joined-up approach to studying the underlying causes of autoimmune disease could allow research to progress faster, reducing costs and speeding up development of treatments for people with autoimmune conditions. 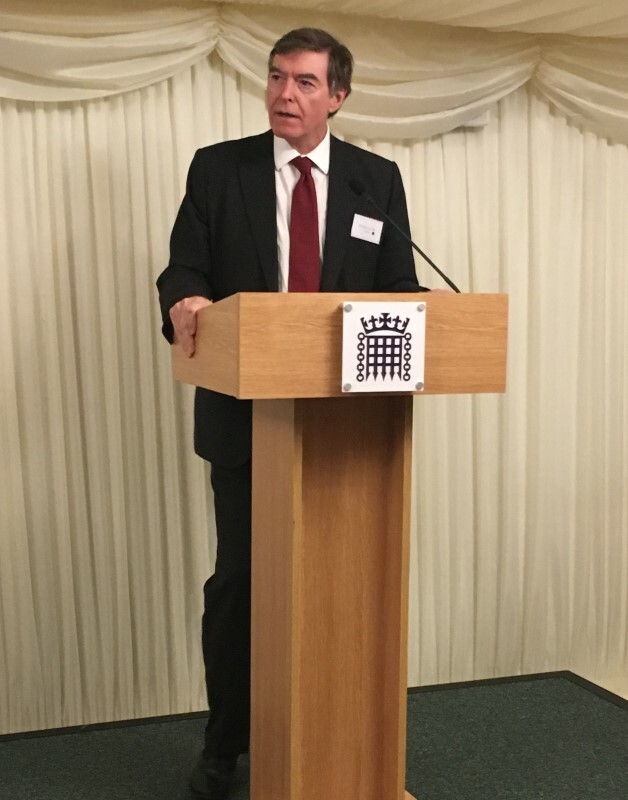 After Philip Dunne’s introduction, we heard from Karen Addington, CEO of JDRF UK, Dr David Hunt, inaugural recipient of Connect Immune Research funding and Chloe Gillum, a paediatric nurse who lives with three autoimmune conditions. Despite a direct timetable conflict with the Prime Minister’s latest Brexit statement in the House, the event was well attended with a number of notable MPs including Shadow Business and Industrial Strategy Secretary Chi Onwurah and former Liberal Democrat leader Tim Farron. We also hosted representatives from the Medical Research Council, Wellcome Trust, ABPI and other big patient charities. The most central part of the event was of course the patient supporters representing the partner charities. These were people of all ages living with multiple autoimmune conditions who have taken on a role to inspire others and advocate for their conditions. Engaging with the supporters and hearing about their experience of living with autoimmune diseases was something I found most valuable ferom the event – I spoke to one 17-year-old girl about living with type 1 and coeliac disease when she explained so clearly the ins and outs of blood sugar monitoring. It was a particularly valuable opportunity to bring them together with several immunologists whose research is aiming to improve their lives. This is hopefully only the beginning of a revolutionary new way of thinking about and understanding autoimmune conditions. If you have not already pledged your support, please do so using the hashtag #AutoimmuneAware through your social media channels. We also encourage you to write to your local MP advocating for autoimmune conditions.